Nationally syndicated radio and HLN television host Dr. Drew Pinsky said he’s concerned about the “sophistication” of the healthcare that Democrat frontrunner Hillary Clinton is receiving. “Why is somebody who’s running for the President of the United States getting such shoddy care?” Drew stressed on KABC’s Midday Live. “My problem is the quality of the overall care she is getting,” he added. Dr. Drew was reacting to a recent report by Breitbart News that revealed security officials and medical professionals speculate Clinton could be suffering from long-term health issues stemming from a concussion and blood clot, a claim that the Clinton campaign denied – referencing Clinton’s health statement produced by her physician and published on her campaign website. Clinton’s doctor, Dr. Lisa Bardack—the chair of internal medicine at the Mount Kisco Medical Group in New York— says Clinton is “healthy” and able to serve as president. 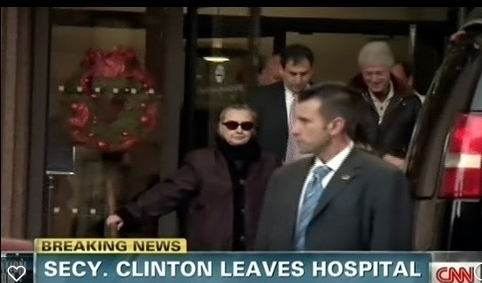 However, Dr. Drew raised concerns over some of the medication Dr. Bardack lists on Clinton’s health statement.